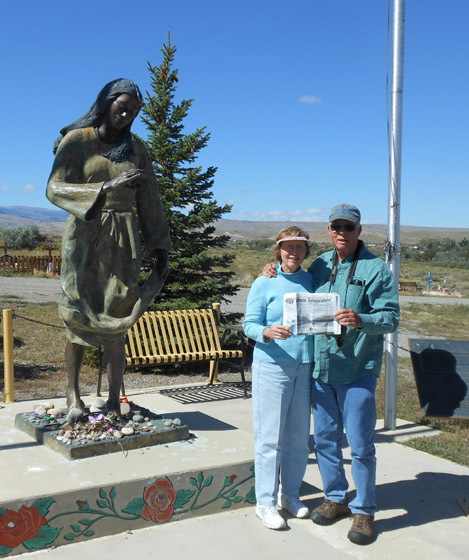 On a vacation to Yellowstone and Teton Nat’l Parks at the end of September, Ron and Nancy Plumhoff visited Sacajawea’s grave on the Wind River Shoshone Reservation. Sacajawea was the Shoshone woman who was a guide for the Lewis and Clark Expedition to the west coast. She traveled three thousand miles with them, carrying her papoose, her son Baptiste. Nancy and Ron are pictured holding the Stow Independent next to her statue. She is holding a sand dollar that she brought from the coast to the chief. 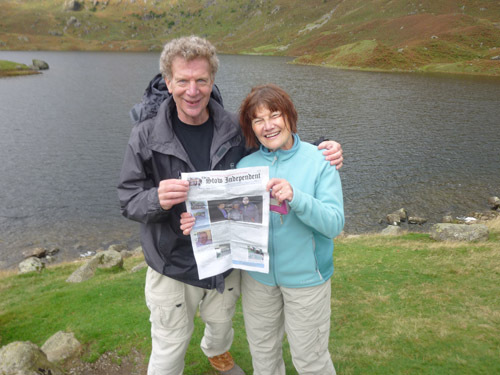 Jane & Arnie Epstein carried a copy of the Stow Independent to Easedale Tarn (Lake) above Grasmere, the prettiest village in the English Lake District, while on a recent hiking holiday. 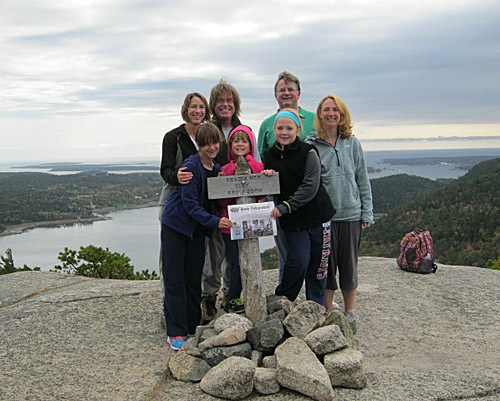 The Stow Independent traveled to the top of Acadia Mountain in shut-down Acadia National Park with the McIsaac and Clack families Columbus Day weekend.